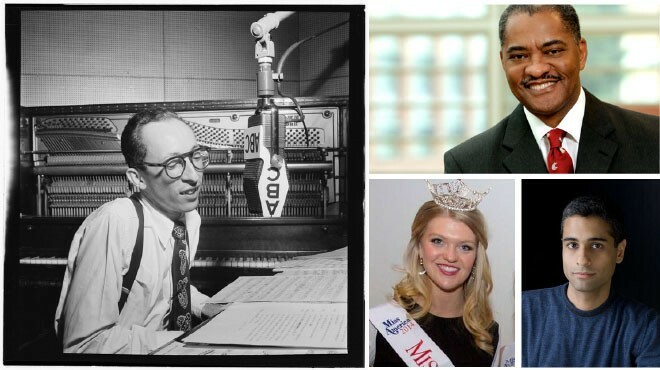 Clockwise from left: Buddy Weed, one of the musicians featured in the Blindfold Tests Collection released by U of I; WSU President Elson S. Floyd; speaker Siddharth Kara, coming to GU; and Miss Spokane Kailee Dunn, a senior at EWU. Graduate Program Fair: Graduating seniors in North Idaho interested in grad school options in the area can learn about them at a Graduate Program Fair that will be held March 5 in Coeur d'Alene. Students can learn more about the programs offered at Boise State, EWU, Gonzaga, Idaho State, U of I, WSU, Webster and Whitworth.